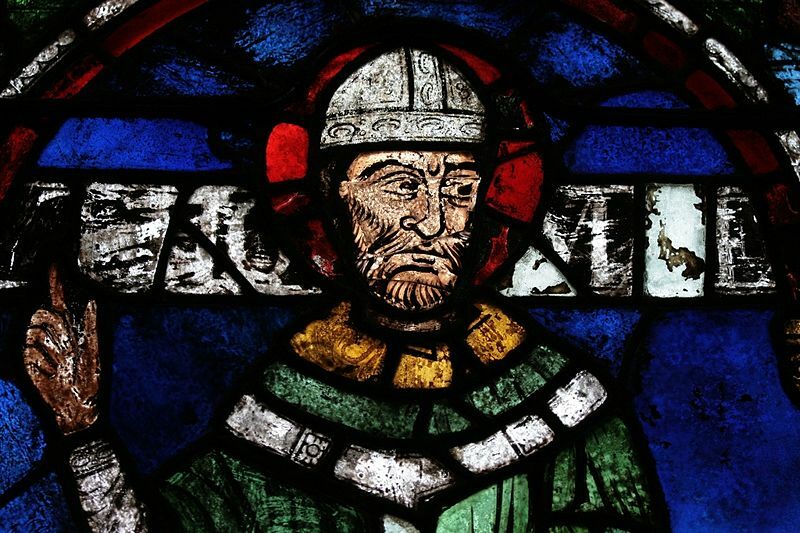 The life and death of Thomas Becket have intrigued scholars and church people for centuries. Was he a politician or a saint? or perhaps both? I O God, our strength and our salvation, who didst call thy servant Thomas Becket to be a shepherd of thy people and a defender of thy Church: Keep thy household from all evil and raise up among us faithful pastors and leaders who are wise in the ways of the Gospel; through Jesus Christ the shepherd of our souls, who liveth and reigneth with thee and the Holy Spirit, one God, for ever and ever. Amen. II O God, our strength and our salvation, you called your servant Thomas Becket to be a shepherd of your people and a defender of your Church: Keep your household from all evil and raise up among us faithful pastors and leaders who are wise in the ways of the Gospel; through Jesus Christ the shepherd of our souls, who lives and reigns with you and the Holy Spirit, one God, for ever and ever. Amen. Bio. His bio lacks the information that he died on December 29, 1170, in Canterbury Cathedral (which seems a significant omission). A clear ‘who he is’ and ‘why he is important’ statement would be helpful, too. Just curious about when he was added to LFF. He’s not in the 1980 edition, but he is in the 1997 and 2006 ones (I don’t have the others). Would a brief reference to T. S. Eliot’s “Murder in the Cathedral” be appropriate? We have staged this in our church – very moving. I suggest the subtitle read: “Archbishop and Martyr”.That he was Archbishop of Canterbury is stated in the text. Line 11, second paragraph: I suggest lower case initial letters for “royal master”. Grisly, realistic detail about his hair shirt: I read somewhere months ago that the nuns who washed his body said the hair shirt was full of fleas, etc. In other words, scratchiness wasn’t the only unpleasant thing one was likely to experience with that particular discipline. –Does anyone know why the HOB rejected Becket’s addition to the calendar in 1985, apparently ignoring the issue in 1988, and then taking it up again in 1991? Thanks, Fr. Hartney, for those dates. Was it Becket in particular who was rejected by the HOB in 1985, or additions to the calendar in general? Resolved, the House of Deputies concurring, That this 68th General Convention of the Episcopal Church instruct the Prayer Book and Liturgy Committee to include the name of St. Thomas a Becket of Canterbury in the list of additional names to be added to the Prayer Book Calendar. Resolved, the House of Deputies concurring, That the 68th General Convention request the Standing Liturgical Commission to consider adding Thomas a Becket to the Calendar and report their decision to the 69th General Convention. With or wothout hair shirt, most people in the Middle Ages lived with fleas – one reason for the speed and thoroughness of the spread of the Black Death. Read Connie Willis’ execellent novel “Doomsday Book.” [ Maybe Domesday? Don’t have my copy with me]. Time travellers to the medieval past are offered the option of having their noses cauterized for the trip, and are given multiple vaccines. Perhaps the hair shirt had more fleas and lice than contemporaries were used to (even though they were a dally fact of life), since so many of Becket’s contemporaries commented on them (this from a Google search a little while ago). –Thanks for the reminder of the Connie Willis novel–I heard a review of another of her books a few months ago, had forgotten all about the time traveller theme (for historical research purposes only, no attempt to change the direction of history or there would be dire results, trying not to get caught in a time warp, and the other things you mention). I think it’s an excellent set of materials, except for the psalm. The Second Esdras lesson is appropriate. Psalm 125 is a psalm that teaches good things come to good people, bad things to bad people — I’m not fond of it especially in this commemoration’s context. Something more “real” (like Ps 62) would be more appropriate. The two NT selections are perfect as they are. In the final paragraph of the bio, I had very minor observations about its first three sentences. If the bio can’t state with confidence that he was more of a saint than a politician (and preferably much more), he doesn’t belong in the calendar. After reading his entry in the Oxford Dictionary of National Biography, it’s hard for me to believe that he can seriously be held up as an example for Christians to follow, or that he in any way advanced the ministry (as opposed to the power) of the church. It’s a very complicated biography, but the major issue for which he fought seems to have been to keep ‘the church’ (by which he apparently meant the clergy) free from lay control, particularly when it came to clergy guilty of some crime or other. Apparently the idea was that the church, not the state, should punish clergy, which as we all know is to this day too often simply a matter of removing them to a diocese or parish where their wrongdoings are unknown. The biography is depressing reading not just about Becket but about every cleric it mentions. It also suggests that Henry’s famous statement about a turbulent priest is myth, as are Becket’s alleged last words. His shrine at Canterbury was destroyed at the Reformation, and a 17th century bishop, John Bramhall, criticised the Roman church for canonising him, and said that while the Church of England condemned the murder, ‘we do not believe that the cause of his suffering was sufficient to make him a Martyr’, since the argument between him and the king was about political rather than spiritual matters, and in pursuit of his object Becket had perjured himself and violated an oath he took to stop opposing the state’s punishment of ‘criminous clerks’ (A Just Vindication of the Church of England) pp 141f. It would be interesting to know when, and why, the Anglican attitude to him changed. I suspect it was part of the romanticisation of all things medieval that began in Victorian times and still continues in some quarters. It’s a commemoration I will politely avoid. I’m interested in this image of Saint Thomas. Does anyone know where it is located and if it is in the public domain for publication? After a little searching, I found that it is at Canterbury but is not medieval. Such beautiful colors!